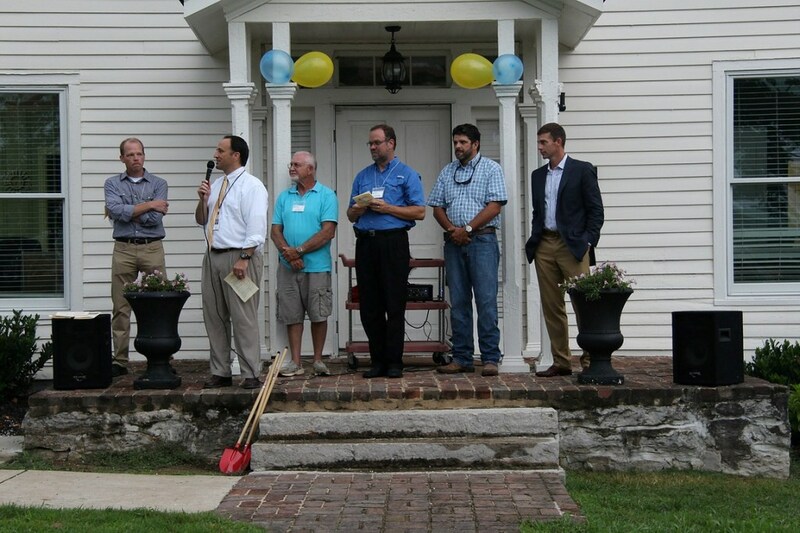 Columbia, TN – August 26, 2016 – Agathos Classical School joyously celebrated the groundbreaking of its first permanent classroom building at this year’s Back to School Picnic. The school first met in finished barn space when it formed in 2003, and later gratefully used rooms at local churches. In 2007, the school moved to its current 17-acre campus at which portable classrooms affectionately dubbed “learning cottages” encircle a flagpole. Planned for 5,894 square feet of space, the new one-story building will include six classrooms and a central gathering hall. An additional wing with two more classrooms can be added in the future. 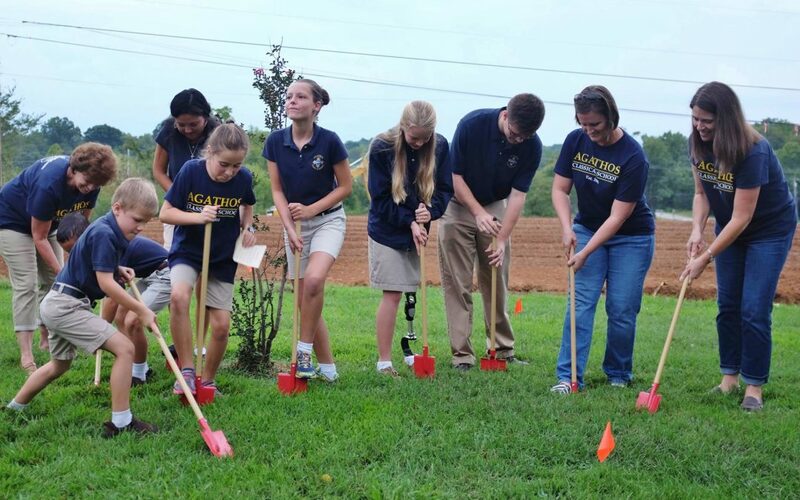 Student and teacher representatives wielded shiny red shovels to break ground where a future sidewalk will connect the new building with the existing Virginia Jean farmhouse. After the ceremony, all present were invited to sign a uniquely-shaped boulder, recently dug from the construction site. The stone will be sealed and displayed as part of the new building’s landscaping. The celebration was backdropped by a line of bulldozers and excavators neatly flanking a flat earthen pad. At the Groundbreaking Celebration, Dr. Mark Seago, Chairman of Agathos’ Board of Trustees, reflected on how the school’s needs have been met throughout its history, attributing all provision to God’s blessing. 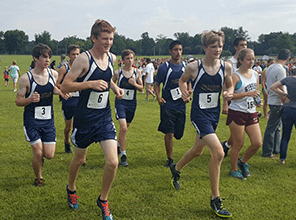 He thanked those who perform the “little things,” perhaps less visibly, that enable the school to run smoothly, noting that there truly are no little things. He expressed appreciation to George Nuber for designing the project, to Scott Walker and Kathy Lafferty of First Tennessee Bank for financing, to Bart Whatley for serving as an advisor, and to general contractor Paul Varney of Paul Varney Construction. Varney expressed that his firm is “glad to be a part of this project for a great private school in the area.” Completion is anticipated in early 2017. 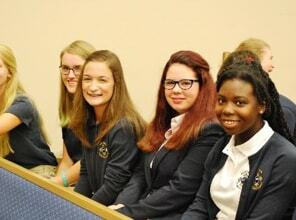 Agathos Classical School is a multi-denominational classical Christian school that serves grades pre-K through 12. 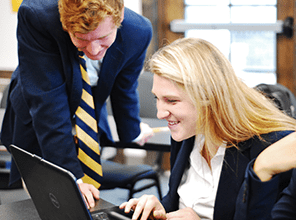 Using proven classical methods, Agathos teaches students to learn by acquiring facts, reasoning logically, and speaking eloquently. These skills prepare graduates to excel in college and life Soli Deo Gloria – to the glory of God alone. The school sits on seventeen rolling acres on the corner of Tom Hitch Parkway and Mapleash Avenue in Columbia, TN.